For my next recipe, i've decided to post something a bit closer to home. 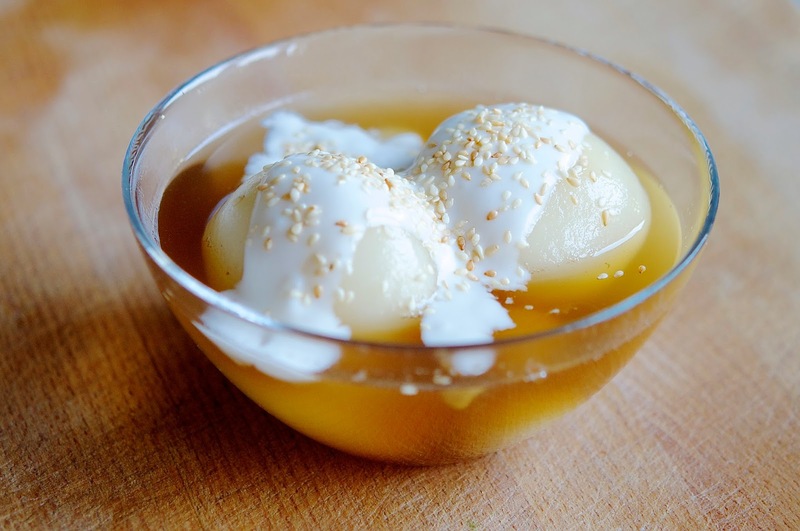 My mother being from Viet nam, i grew up eating a lot of vietnamese sweet dessert puddings known as Chè and let me tell you, the stuff is damn good. There's a lot of different varieties of Chè, but the ones i love the most always include the sticky rice dumplings, so i'm sharing with you my favourite one of them all! Chè trôi nước ( which if you put in google translates into tea floating water haha ). This is quite a heavy dessert and no way by any means is it healthy but it's totally worth treating yourself once in a while with this yummy goodness. There are so many small variations that can be made with vietnamese desserts, and just like with western sweets, you can tinker the recipe to your liking. For example in some Chè trôi nước recipes, fried onion or shallots are added into the filling but i like it better without so i choose to add shredded coconut instead and it still tastes heavenly! Just to give you an idea of what it taste like, the starchy mung bean paste makes an excellent filling for the smooth glutinous sticky rice flour outer later because of the contrasting textures. Despite the term "glutinous" the flour is indeed gluten free, it's just used to describe the stickiness of the texture. If you've ever had Japanese mochis then you'll know how the paste oozes out of the gooey outer rice layer which is to die for ( it's basically the same flour that we're using ). The sweet brown syrup is infused with ginger to give it depth,it'll add a slight spicy tinge to complement and even out the sweetness of the brown sugar. And to top everything off, coconut milk is basically liquid silk so it doesn't get much better than that. 1. Soak the split mung beans in water for at least an hour, the longer the better.Wash and drain the beans and then cook them like you would rice. Make sure the water completely covers the beans and cook on low heat until they expand and soften. 3. To make the bean paste filling, purée your cooked beans, add sugar, shredded coconut, pinch of salt and mix. 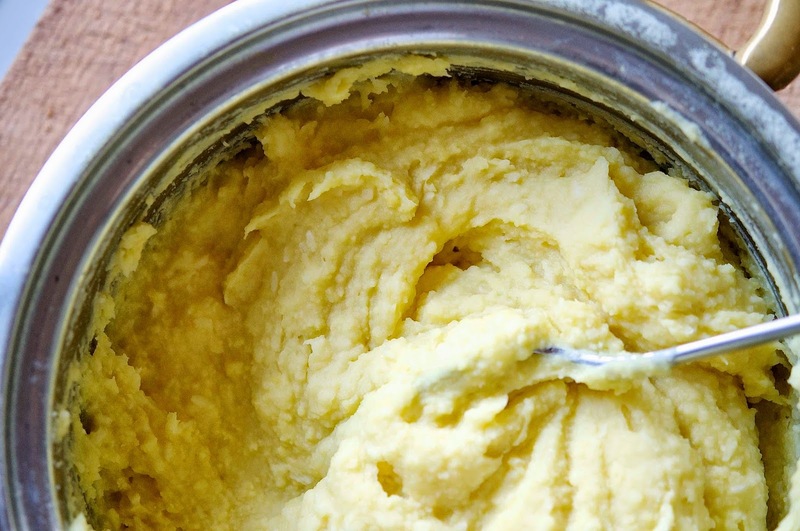 Once you've mixed everything together, put the paste in the fridge so it cools down quicker. 4. To make the dumpling dough slowly add the 300ml of lukewarm water whilst continuously kneading. Keep kneading until the dough is no longer sticky but still moist and then cover with a towel. 5. Take the mung bean paste out of the fridge ( they should still be warm after 5-10 minutes in there ) and roll 12 to 15 balls between your palms. 6. Now to make the actual dumplings, you want to grease your hands with some vegetable oil to prevent stickiness. 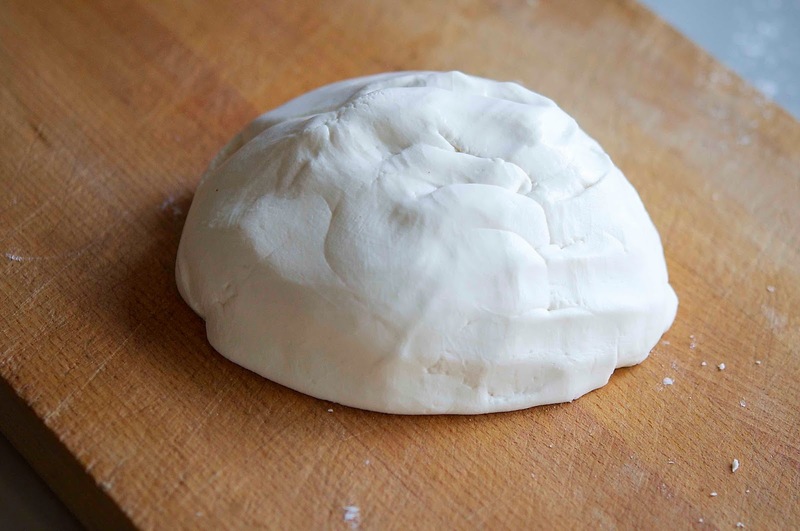 Pinch off some of the dough, roll it into a ball and flatten it. Then place one of the mung bean balls in the middle of the dough and seal the edges. 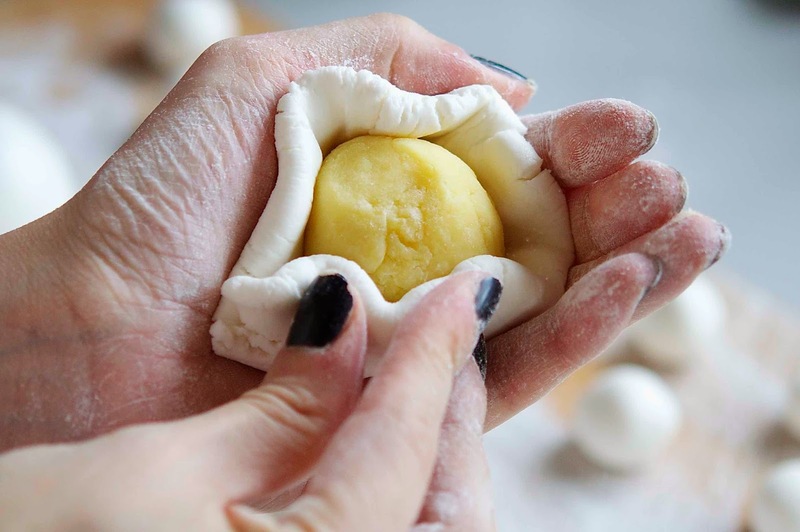 Roll the dumpling between your palms until its smooth, dust it with some rice flour and repeat until all the paste is gone. 7. 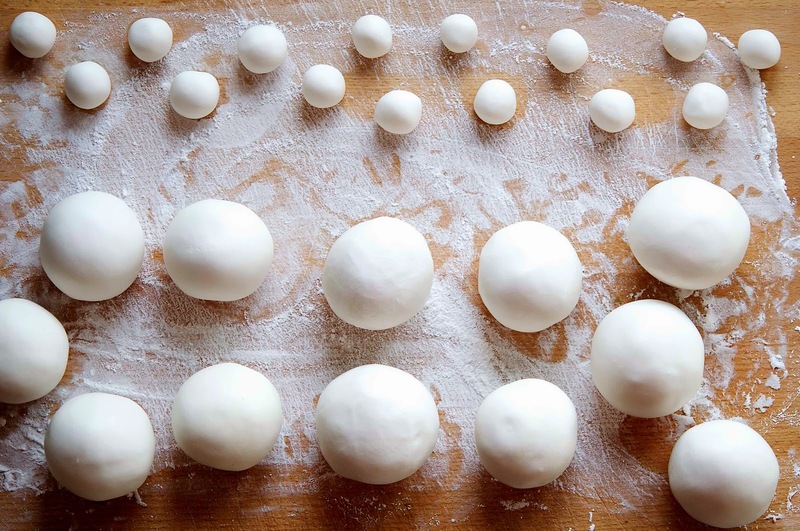 Use the leftover dough to roll into small unfilled rice balls. To cook the dumplings you have to fill a pot with some water and bring the heat up to a boil before adding the dumplings and lowering the heat to medium. When the balls float to the surface then they're ready ( although i always leave them in for a few extra minutes to make sure theyre totally cooked ). Have a big cold bowl of water ready and transfer the dumplings in when they're cooked. 8. To make the ginger syrup/soup , Over medium heat add the 1L of water into a pot along with the brown sugar. 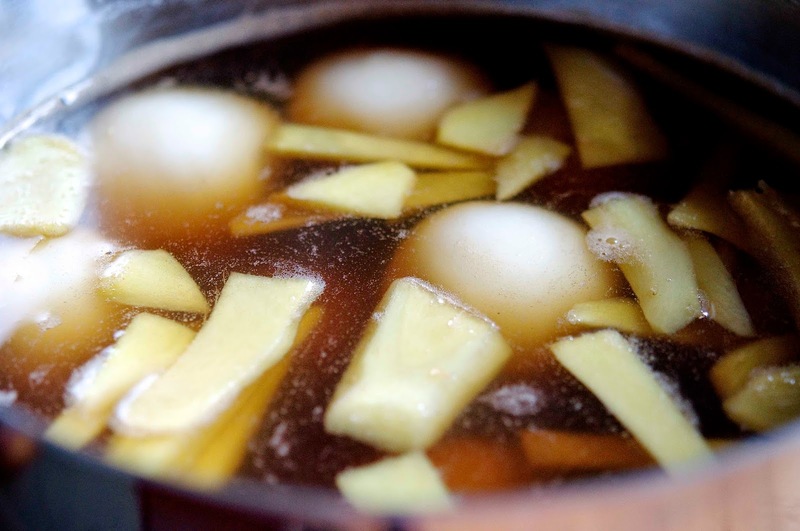 When it comes up to a boil, add in the sliced ginger, slightly lower the hear and continue to cook for another 10 minutes before removing from heat. Transfer the dumplings from the cold water into the pot with the syrup. 9. To make the coconut sauce, combine all the ingredients over medium heat whilst continuously stirring. Cook for around 5 minutes or until the sauce is hot enough for your liking. 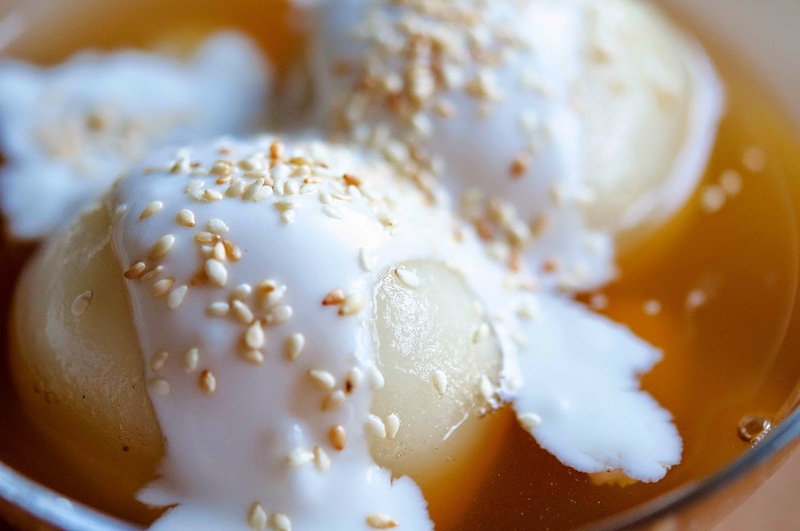 Serve the warm dumplings with syrup in bowls ( without the ginger ), spoon some coconut sauce on top and garnish with some roasted sesame seeds AND EAT! Nutritional Information:1 serving ( Considering that you're serving 10 people ) contains: 496 calories, 13.1 g of fat , 86.36 g of carbs ( 5.4 g of fiber = 80.96 net carbs ) & 9.68 g of protein.